I had thought that this year I would be decorating a mantle in my new basement. That is REALLY not going to happen. You see in my formerly, itty bitty 1950’s house we don’t have a mantle. In the new ginormica basement, there will be a basement, lots of room for a large tree, room for small one to run around…but right now it is still a construction zone and my front room is the catchall. Since we’ve had this house we’ve tried to keep to a mid-century modern feel as it matched the scale of the house so well. Furniture is low and armless and as much as possible we’ve taken things off the floor and fastened them onto the wall to give the illusion of space to the eye. We had no fire though. We also had no outside walls that would be suitable to place a fire in this room. 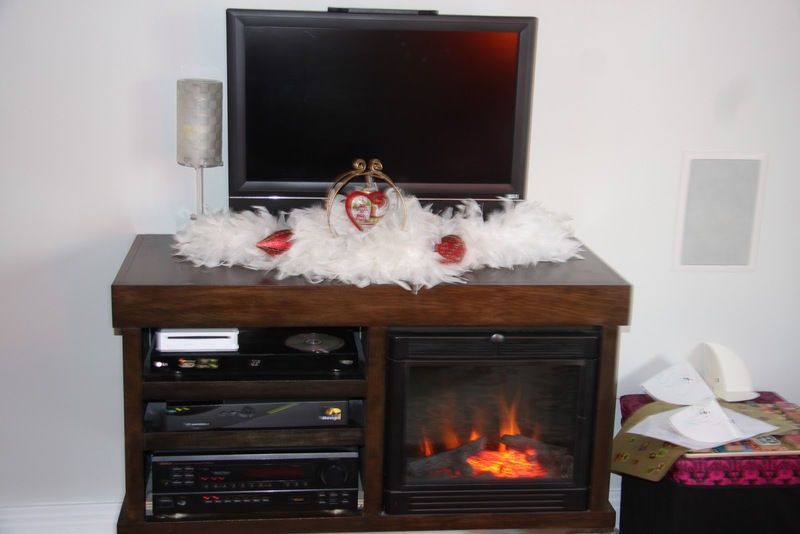 So, what we’ve done is create a console that houses an electric fire, stereo equipment and the television. It is low. Which means little fingers are able to grab anything that is on the top. 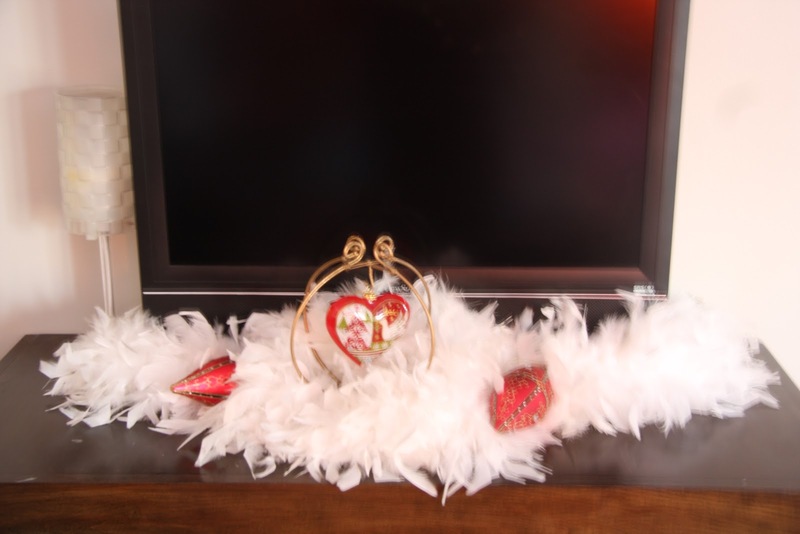 Take one feather boa, 2 oversized Christmas ornaments that would last a second on the tree and a wire stand with a decorative bauble hanging from it. Voila! i have an itty bitty 50s house, too (a little cape) and WE are in the middle of a basement reno, too. for over 2 years. i'm serious. each season that passes, i think i can't wait to have more space to decorate than just my living room and dining room! Heck! TWO YEARS! I'm crooked over eight months.